Ready to race to you. There’s nothin’ can hold me when I hold you. Saturday. What a day. Groovin’ all week with you. 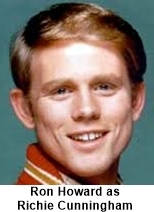 Happy Days was centered around Richie Cunningham (Ron Howard) his family and his friends. It was a period piece set in the 1950s in Milwaukee, Wisconsin with most of the scenes taking place either in the Cunningham’s living room or in the local hangout drive-in called Arnold’s. 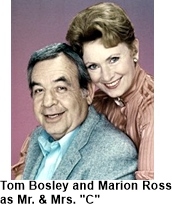 Richie’s family included his dad Howard (Tom Bosley), his mom Marion (Marion Ross) and his younger sister Joanie (Erin Moran). In the first couple of episodes and the pilot he had an older brother but this character was phased out to make room to expand another characters role, Fonzi as sort of a big brother. Which brings us to that character Arthur ‘Fonzie’ Fonzarelli (Henry Winkler) originally he was just going to be kind of a tough guy minor friend of Richie’s who would occasionally help him out of jams but the character was so wildly popular with the fans that his role kept growing until he became the central character. 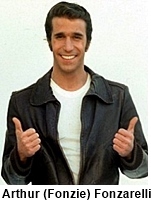 Fonzi “the Fonz” was a leather jacketed, motorcycle riding chick magnet with magic hands and a loaded thumb. He was so popular with the fans that in one episode Fonzi goes to the library for a book and that week library card registration went up by 500%. 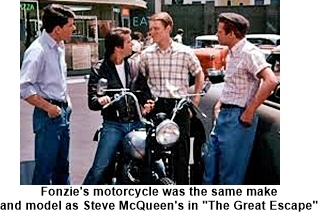 Other characters included Richie’s best friend, Potsie Weber (Anson Williams), another friend Ralph Malph (Don Most) and in seasons 4-11 Fonzi’s cousin Charles “Chachi” Arcola (Scott Baio). Mitsumo “Arnold” Takahashi (Pat Morita) owned Arnold’s Drive-in until he sold it to Al Delvecchio (Al Molinaro). The series was an unsold tv pilot first but after the success of the movie American Graffiti (with Ron Howard) the creators dug up the pilot and tried it as a segment on Love, American Style called Love and the Television Set. That was well received so producer Garry Marshall tried his idea for the series again and this time it was pickup by ABC. Besides being the second longest running prime time series on ABC it also spawned several spin-offs, Laverne & Shirley and Mork & Mindy as well as a few that weren’t overnight hits, Joanie Loves Chachi, Out of the Blue and Blansky’s Beauties. 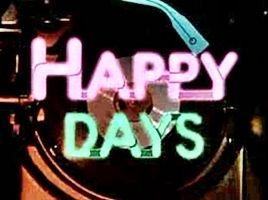 Robin Williams appeared as Mork in two Happy Days episodes. The first was a vehicle to introduce him to the viewers for a spin-off series,Mork & Mindy, the second appearance was to establish Mork as a time traveler. Williams dialogue in both episodes was as usual scripted by the writers. Williams however tossed the scripts and improvised his entire dialogue for both episodes. This became so common place for Williams that the writers for Mork & Mindybegan handing Williams virtually blank script sheets with only a few hand written notes on them.